Kate – Veneer | Robert S. Minch, D.D.S., P.A. Kate, excited to be a new Grandma, felt that her teeth were aging but that she was not! 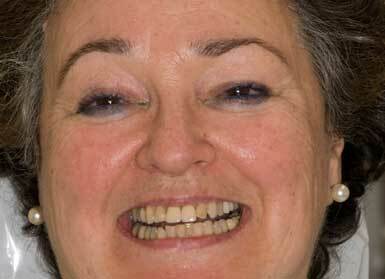 She was especially unhappy with how her upper back teeth seemed to disappear the further they went back. To correct this, porcelain crowns were fabricated on the back teeth in order to fill in the dark shadows and give the smile a fuller look. 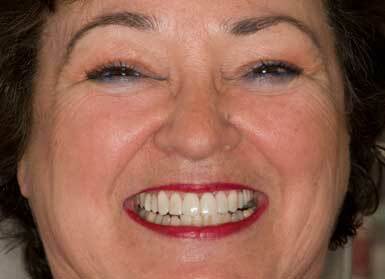 Porcelain veneers were made on the upper front teeth to complete the new youthful appearance. Now she has a dazzling smile to match her ageless attitude! Click here to see a close up view.